William Ludwig Ullmann was born in Springfield, Missouri, on 14th August, 1908. He graduated from Harvard Business School with an MBA in 1935. Ullmann then took a job with the National Recovery Administration. There he met Nathan Silvermaster and became associated with members of the Communist Party of the United States (CPUSA) who were officials in the New Deal. This included Harold Ware, Alger Hiss, Nathaniel Weyl, Laurence Duggan, Harry Dexter White, Abraham George Silverman, Nathan Witt, Marion Bachrach, Julian Wadleigh, Henry H. Collins, Lee Pressman and Victor Perlo. In 1937 Ullmann was transferred to the Resettlement Administration. The following year he bought a house with Nathan Silvermaster and his wife, Helen Silvermaster. In 1939 Ulmann went to work for Harry Dexter White in the Department of the Treasury. His immediate supervisor in his new post was Frank Coe. Both White and Coe were Soviet agents. By 1941 Ullmann became White's Administrative Assistant. 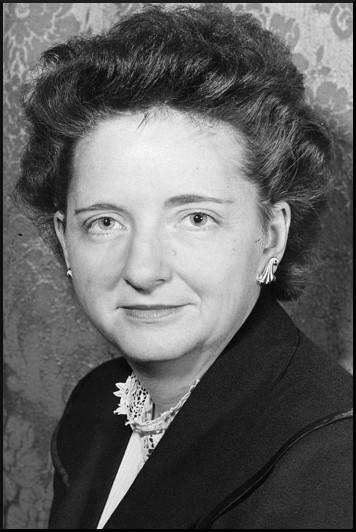 Kathryn S. Olmsted, the author of Red Spy Queen (2002), points out: "Every two weeks, Elizabeth would travel to Washington to pick up documents from the Silvermasters, collect their Party dues, and deliver Communist literature. Soon the flow of documents grew so large that Ullmann, an amateur photographer, set up a darkroom in their basement. Elizabeth usually collected at least two or three rolls of microfilmed secret documents, and one time received as many as forty. She would stuff all the film and documents into a knitting bag or other innocent feminine accessory, then take it back to New York on the train." (3) Moscow complained that around half of the photographed documents received in the summer of 1944 were unreadable and suggested that Ullmann received more training. However, Pavel Fitin, who was responsible for analyzing the material, described it as very important data. Bentley became aware that Ullmann was having an affair with his host's wife." (4) When Iskhak Akhmerov also discovered what was happening he cabled Moscow: "Surely these unhealthy relations between them cannot help but influence their behavior and work with us negatively." (5) Akhmerov also reported that other members of the group had become aware of this ménage à trois and that it was undermining his relationship with the rest of the group. However, Ullmann continued to provide important information. According to Elizabeth Bentley Ullmann had given her the "approximate schedule date of D-Day". (6) However, this has been questioned by the historian, Allen Weinstein, who has seen evidence in the Soviet archives that it was Donald Niven Wheeler who provided the information. (7) Ullmann also attended United Nations Charter meeting at San Francisco and to the Bretton Woods Conference as Harry Dexter White's assistant. William Ludwig Ullmann died on 3rd February, 1993. Every two weeks, Elizabeth would travel to Washington to pick up documents from the Silvermasters, collect their Party dues, and deliver Communist literature. Soon the flow of documents grew so large that Ullman, an amateur photographer, set up a darkroom in their basement. Elizabeth usually collected at least two or three rolls of microfilmed secret documents, and one time received as many as forty. She would stuff all the film and documents into a knitting bag or other innocent feminine accessory, then take it back to New York on the train.